Have those sun rays left your hair damaged? Well, no worries. We are in the 21st century and that can fortunately be fixed. So now you don't have to worry about how you will look on your first day of class. Take my tips and check out these great products that really work. And get ready to rock that school hall!! Your hair probably looks like you've been living in a cave and just came out to join the world. I know we all have problems - from split ends to water damaged hair. And the thing is we don't really think about our hair when we're having fun at the beach, and then go from there to some party. We barely have time to take good care of it - some of us do, but some don't. So this is the right time to start thinking about healthy, shiny hair - hair that doesn't go crazy once it's exposed to humidity. Since we're back to school we all want to look our best. So I got my research on and found the perfect family of hair care products for every teen - and they smell wonderful! Know what I'm talking about? Yes, Herbal Essences. Other than being my favorites because they're very effective a lot of other girls love them too. So hey, why not give yourself the best? 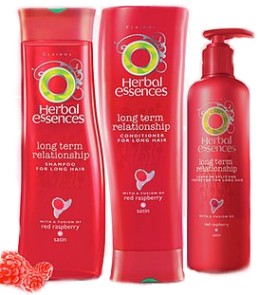 The Herbal Essences line can help fix those split ends and easily breakable hair. Back from lunch with unbreakable hair. This Herbal Essences family helps your hair stay as strong as a rock, so say goodbye to shirts decorated with your falling out hair, and say hello to pearls and coco melon smelling hair! Make them turn around to ask Who was that?? Usually long hair suffers from split ends, and definitely after a summer with a lot of pools, beaches, and curling irons, but like Superman, Herbal Essences has come to the rescue! This family of products is especially for long hair and split ends. 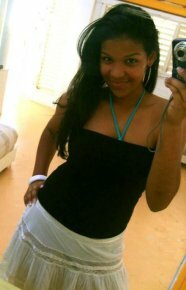 So say goodbye to cutting that hair!! Also try Bed Head. This leave-in split end treatment is also very effective. So as you can see Herbal Essences has everything you need for your hair. Set Me Up Stylers is a family that helps you give a finishing touch to that crazy hair style you just made for your first day of class. They work great, and I guarantee you that at the end of the day you won't go home looking as if you never brushed your hair. With all the drama and work in school you need all the help you can get. The Set Me Up Stylers family consists of mousse, hair spray, spray gel, max hold gel, and max hold spray, and they guarantee they won't wear out your hair. Can you ask for anything better?? 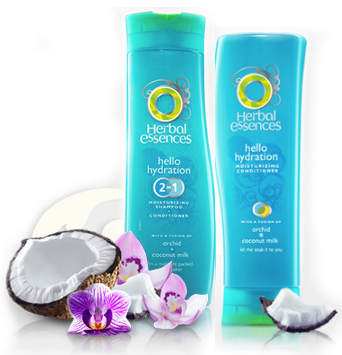 For more information, just visit the Herbal Essences website.